LiTE-HAUS welcomes Ewelina Makosa photographic solo exhibition "Unuseful". Makosa was born in Warsaw, Poland and currently splits her time between Warsaw and Berlin. She is working on her Doctorate at the Academy of Fine Arts in Warsaw. In the years 2006 – 2012 she studied Interior Architecture & Exhibition Design. 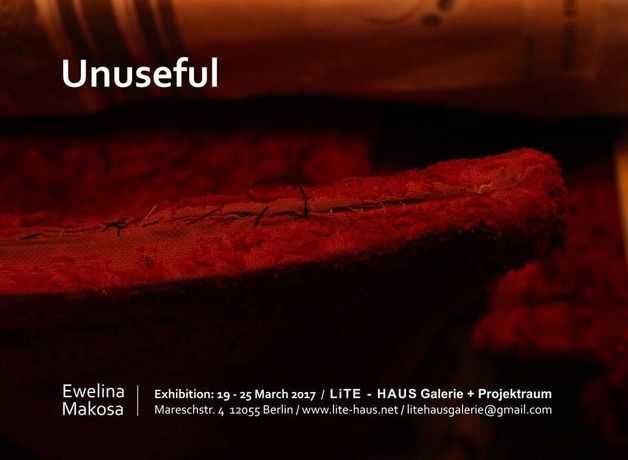 She took part in solo and group exhibitions in Berlin, Warsaw and Milan. Makosa expresses herself in visual arts such as: painting, photography, video, installations. The way she perceives space has fundamental influence on her art. Fragility of the body expresses the fundamental matter of her art works. The body is matter susceptible to the suffering, impulses coming from the outside.